Your holiday time is precious, we get that! If you’re anything like us, you don’t want to entrust your Thailand holiday time to just anyone—you want a travel company you can trust to deliver the best of the best! At My Thailand, our customers are our first priority. We pride ourselves on our high levels of customer service and ensure that these continue from the time you first contact us, right up until when you return home. To ensure that our service is up to scratch, we ask each and every one of our customers for feedback. We use the independent global reviews site, Feefo, to do this and the results speak for themselves. 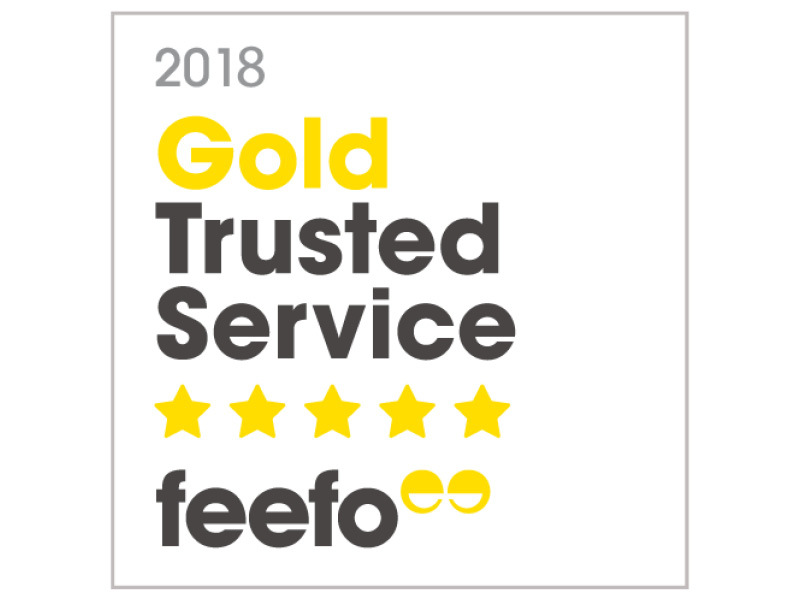 In 2018, we were awarded the highest Feefo accolade—a Gold Trusted Service Award for consistently maintaining an over 4.5 star rating average! Still not convinced? Take a look at what our customers have to say for yourself. Scroll down or click to read all of our customer reviews. We have just arrived back from a 10-day package in Phuket. I wanted to say a big thank you to everyone at My Thailand. Your service and organisation were perfect from start to finish. We had a wonderful time and were very well looked after by Joy and our drivers in Phuket. Our hotel was also great. Will definitely recommend your packages to family and friends. We recently took an 8 night My Thailand trip and were extremely impressed with all aspects. The accommodation was very good and the staff in Thailand were very helpful and friendly. The organisation from your company was excellent. Extras such as ‘fast tracking’ through immigration and transfers to and from the airport by private car were great, especially after a long flight. The voucher booklet offering discounts on tours and activities was also good value. Thank you to the staff at My Thailand. All bookings and queries were dealt with immediately and efficiently. We wouldn’t hesitate in recommending My Thailand or My Holiday Centre and look forward to booking another holiday with you! Just to let you know, we had a wonderful holiday. The resort was amazing and I would highly recommend it! The service was exceptional. Everything went smoothly—from the flights with Thai Airways, to the transfers to and from the airport. A thoroughly enjoyable holiday! Many thanks for putting the package together for us! Thanks for your help. Everyone I spoke to were all really lovely to deal with. Will definitely come to you guys again for future holidays! Just want to say thanks for arranging our holiday for us. Frank and I had the best holiday ever. We were made to feel very special from the minute we arrived in Phuket right up until we left. The resort was absolutely amazing, definitely 5-star, and the staff were brilliant. The VIP transfers through customs and the transfers to and from the resort were fantastic, we felt like royalty. We loved being just far enough away from Patong to enjoy the peace and quiet, but close enough to enjoy the nightlife when we wanted to. We would like to go again next year to the same resort so, if any deals come up, please keep us in mind! Thanks again for arranging all these fine details so perfectly. I just wanted to let you know that we had a fantastic holiday and the people from My Thailand were really great! We didn’t have to worry about any of our transfers, everyone was on time and friendly. Both of the resorts we stayed at were excellent. Thanks again for organising our trip! Just wanted to say thank you again for all your help with planning our holiday arrangements. We just got back and had the most fantastic trip. It was made even better by the added extras provided by My Thailand. The service at Bangkok airport with check-in etc. for our return flight was so welcomed given the midnight flight and sleeping 4-year old over my shoulder! Thanks again. Look forward to booking our next trip with you guys. Cheers! We had a fantastic relaxing holiday. Siray Bay resort was better than we imagined! We both loved the resort and the staff were unbelievable—nothing was a problem and the always had a smile on their face. One of the best holidays we’ve had. The Sheraton Bangkok was also good. I have already recommended you to all of our friends and family as you guys have just co-ordinated everything so well. Looking for Fiji next year, so we will definitely be in touch. Thank you for all your help. Excellent job! Thank you to everyone at My Thailand for a wonderful week in Phuket. As usual, the standard of service was excellent, and the resort and all the staff were wonderful! The transfers to and from the airport were excellent (as always!). We had beautiful weather and loved every minute of it! Thank you once again—I’ve no doubt you’ll be hearing from me next year when we’ve decided where we are heading! Fantastic hotel, great staff, service, food, facilities, the room was amazing and the beach was beautiful! The cooking class was a really fantastic inclusion and great fun to do! It was a perfect location too, with other bars and dining options close by. I have already recommended it and you guys to several friends. We’re already thinking of the next trip in March or April—either back to Thailand or maybe Bali. We have never found better deals than through My Thailand. The service and organisation is always fantastic—nothing to think or worry about! Will stay in touch. Thanks again. Read all of our My Thailand reviews here!